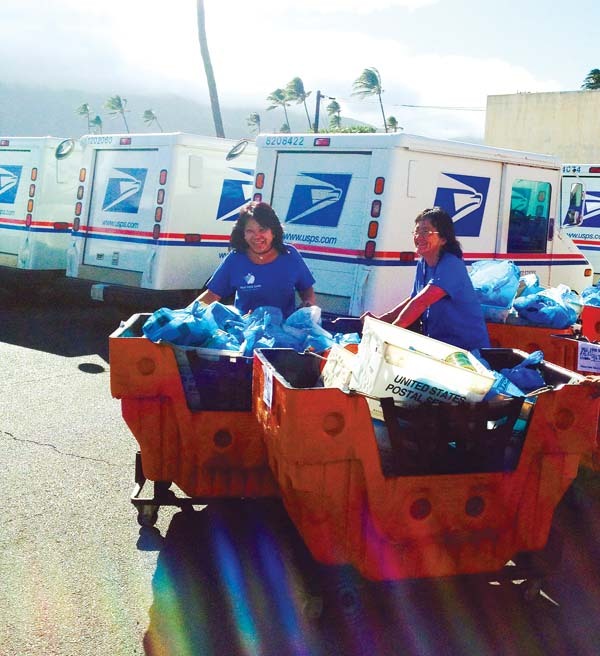 Kahului Postmaster Sheila Apana (left) and Kahului carrier supervisor Janice Ibarra roll bins full of donations for the Maui Food Bank out of the Kahului Post Office. The donations were collected during the National Association of Letter Carriers’ 25th annual food drive on May 13. 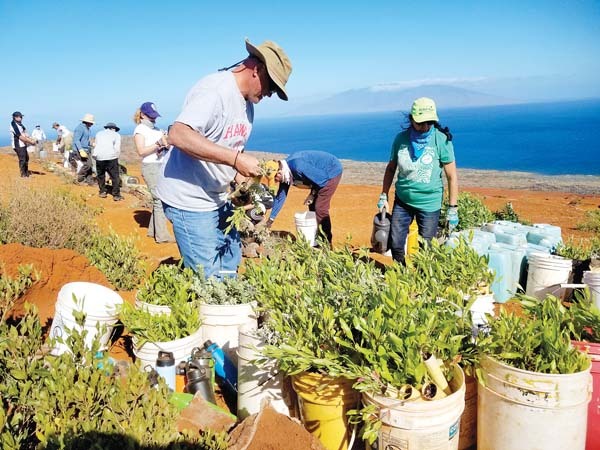 Maui letters carriers represented by NALC and the National Rural Letter Carriers Association collected 44,366 pounds of food and $660 in monetary donations for the Maui Food Bank, said Rudy R. Salazar, an NALC Food Drive coordinator on Maui and a city letter carrier in Kahului. New Eagle Scouts are Dyllon Oishi-Mochida (from left), Ian Roth, the Rev. Shinkai Murakami, Mitchell Grey, Isaac Kaleo Pena and Wesley Sakutori. Shown at the awards ceremony are Joanne Laird (from left), Victor Terra, Maria Terra, George Kahumoku Jr., Gabrielle Schuerger, Megan Moseley and Heidi Dollinger.